m-tec M200 – performance made easy! The M200 raises the processing of thin-layer gypsum products to the next level – thus the creation of e.g. perfect plasterboard walls is child’s play. 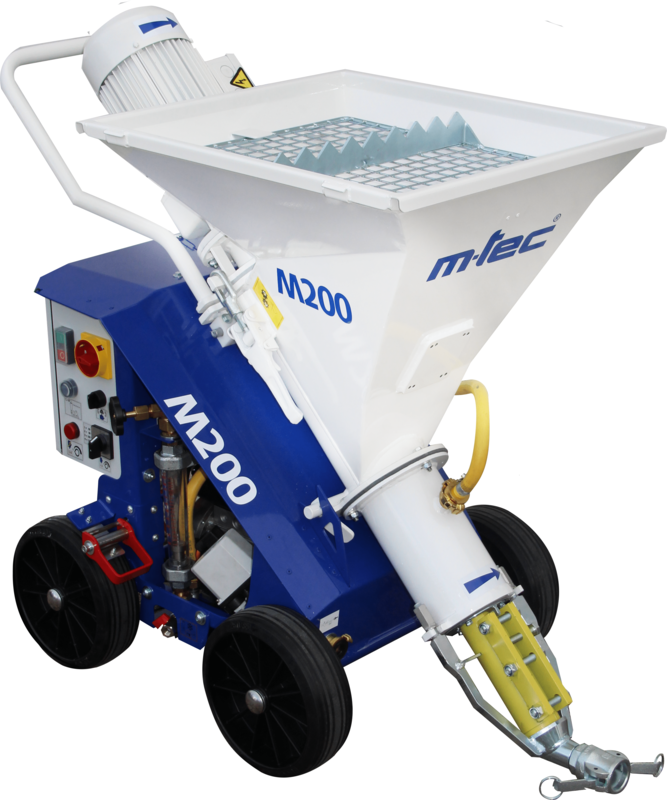 The M200 inspires by the lump-free dilution of gypsum products, especially for fillers. This brand new technology, enables a perfect finish of plasterboard in the shortest time. With a capacity of 0.5-2 m² per minute, the M200 clearly overshines manual processing of gypsum products.